Celebrating ‘10 Years of Beers’, Stone & Wood has brewed something special to mark the occasion. 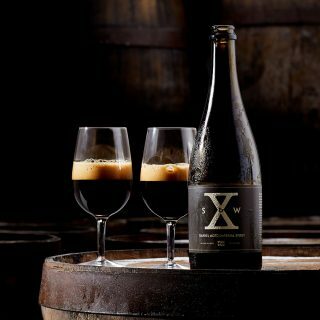 SWX is a decadent 10 per cent imperial stout, which was aged for 10 months in fortified wine barrels. Hand packed in 750ml bottles, SWX pours jet black with a chocolate head and features incredible depth of malt flavours and aromas of espresso, cocoa and dark fruits. The time in barrel has enhanced the smooth, rich flavours and oak aroma while providing hints of cherries and chocolate. This stout is assertive and refined with a warming palate that is full-bodied but balanced by a firm bitterness. A spectacularly big, complex and delightful brew that celebrates the Stone & Wood journey so far and the adventures to come. 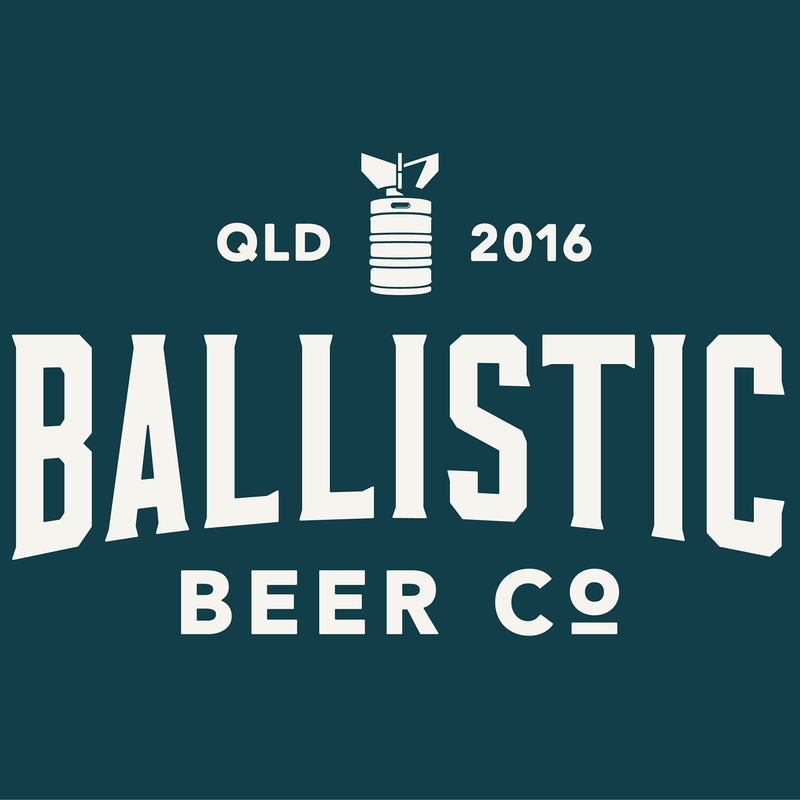 Available in bottle shops and on tap from next week, there will also be 200 limited SWX packs available from the online store for $59. The haze craze has fully taken hold at Sauce, with our customers clambering for more, more, more! Our latest special batch moves to the sensible side of the ABV scale – coming in at 5.8 per cent. Not quite a NEIPA but bigger than a pale ale – that said in the US of A, where we take many of our styling cues, 5.8 per cent is not unusual for a pale ale. El Dorado hops are the star in this one, delivering pineapple, mango, pear, watermelon and stone fruit. Big, juicy and hazy, this not-quite-a-NEIPA is just as good but without the hangover, and well-suited to an afternoon in the Spring sun. Launched on Thursday last week, Pazy Hale will be available in all the good places soon. Who doesn’t love an old fashioned tea party? 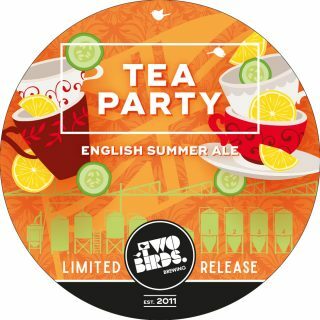 First brewed after a trip to England and brought back to enjoy in the warmer months, Two Birds English Summer Ale captures all the best parts of English hospitality in a glass. With toffee malt characters and delicate floral and citrus notes, this English inspired brew features enough Earl Grey tea, cucumber and lemon to have you lining up for croquet and planning a lawn party. This is a limited release and comes in at 5.2 per cent ABV. So stick out your pinky and have a sip of summer! This Super Session Ale is a punch APA with tons of hop aroma and a nice full-and-fluffy body, but lighter on the booze at 3 per cent, just in case you’d like to remain upright all sunny afternoon. Mid-strength doesn’t need to be boring. Little Banger is a big flavour, big aroma American Pale that’s lighter on the booze so you can smash a million pints on a sunny afternoon (please drink a million pints responsibly). 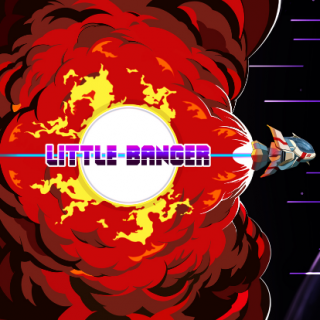 Little Banger was canned on Monday last week and was released on Thursday last week. 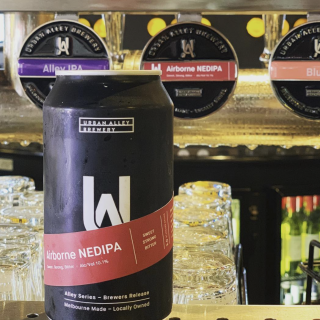 Melbourne’s Urban Alley Brewery has revealed its latest ‘Alley Series’ Brewers Release Airborne NEDIPA. Airborne NEDIPA boasts a combination of pineapple, mango, citrus and apricot aromas, which come together to form a sweet maltiness with hints of pie crust, and an inviting alcohol warmth that doesn’t overpower. With all hops added post-boil, bitterness is soft and rounded. Share this with a friend! Best enjoyed while seated. Airborne NEDIPA is now available on premise at venues across Victoria on tap or in 375ml cans. If you’d like to share your new and specialty-release beers with Australian Brews News, please email [email protected].